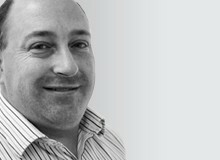 David has worked in Telecoms since 1982 and mobile since 1991. He has extensive knowledge and practical experience of network strategy, design, planning and operations. At Azenby he has been helping clients with network sharing, network mergers, cost evaluation and their new MVNO launch. He held corporate technology leadership roles for One2One/T-mobile/EE in the UK and Deutsche Telecom across Europe. He specialises in network transformation both technically and commercially and has worked on a significant number of network sharing and consolidation projects.